Get Maximum Cutting Tool Life with AlTiN Coatings! Looking for oxidation resistance? Titanium aluminum nitride (TiAlN) or aluminum titanium nitride (AlTiN) is what you want. The design of our AlTiN coating provides exceptional oxidation resistance and extreme hardness. That’s why this coating works well in very demanding cutting tool applications, especially when tools are being pushed to the max. Provides 2 – 7 x the tool life vs. uncoated tools. 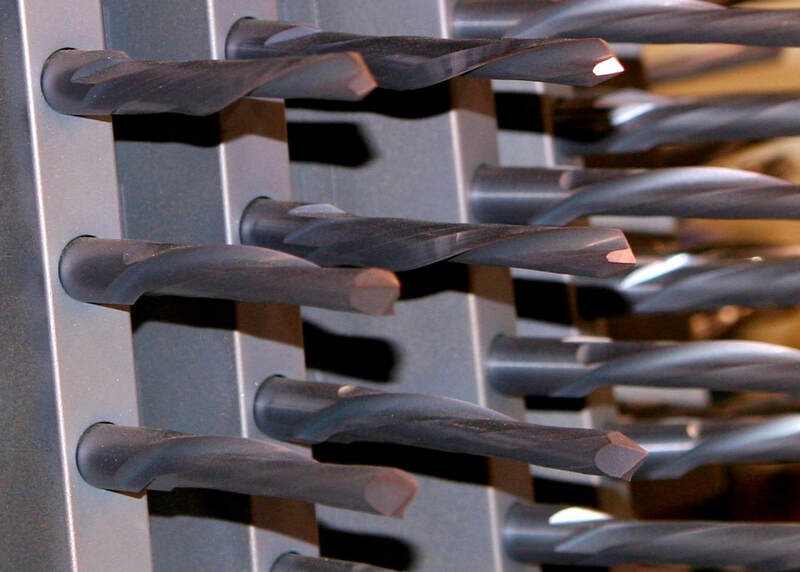 Coating Cost – $2.50 – $4.00 per tool, depending on size. What’s the difference between TiAlN and AlTiN? ​Since our coatings have a high percentage of Al in the film, our coating is more consistent with being an AlTiN coating than a TiAlN coating. AlTiN is typically a black, or charcoal black in color, while TiAlN is often a dull brown in color. Push Your Tools to the Max with AlTiN / TiAlN Coatings!